I represented a Client facing life imprisonment after a home invasion, essentially, went wrong. The case was a high-profile home invasion case that gained attention both due to the gruesome scene left behind and the young age of my client, who had barely turned 18 at the time of the 2007 home invasion. 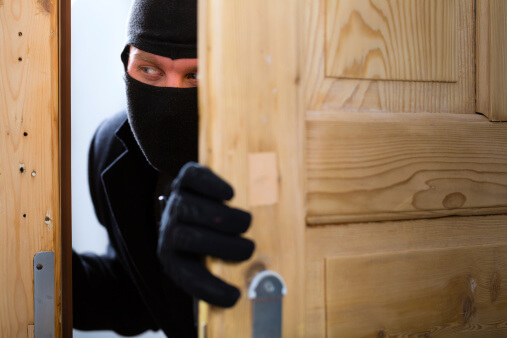 This article will offer an inside look at what happened during the home invasion and attempted robbery, which resulted in one casualty that would shape the 2010 court case surrounding the incident. The prosecutor argued that four individuals, including my Client, entered the home of a U.S. Border Patrol Agent, seeking $60,000 that the Agent had supposedly stashed in his home. When the four men entered the house, the Agent was awoken by the family dog, which led to a shootout involving the Agent and one of the Intruders. The Intruder was hit and was found dead by a passer-by shortly after the incident. Because of Arizona’s Felony-Murder law, the three remaining Intruders (the deceased’s friends), were arrested and charged with first-degree murder. Because the deceased died during the commission of a felony, i.e. burglary, all participants in the felony are guilty of his murder, despite the fact that they were not the one who has shot the deceased and despite the fact that the deceased was committing the felony as well. My Client was facing a first-degree murder charge and life imprisonment. Through my diligence, hard work and zealous advocacy, I was able to negotiate a plea down to first-degree burglary and manslaughter. Furthermore, my investigation lead to several mitigating factors which I successfully argued to the Court for consideration in my Client’s sentencing. He was granted leniency, and was sentenced to a mitigated term of 8-years imprisonment. This case is one of many criminal defense cases taken on by Steven D. West, Attorney at Law. In our Tucson practice, we offer aggressive criminal defense for all types of charges, and our team will work hard to protect your rights throughout the duration of your case. To schedule a consultation to discuss your charges, call (520) 623-4387 today.